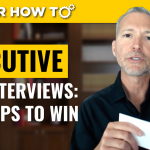 Join career expert and award-winning author Andrew LaCivita for today’s video on a job interview tip guaranteed to get you hired! In this video, I’m teaching you one of the slickest, most-powerful job interviewing techniques you’ll ever find. Bold? Sure. True? Yes. It’s the ultimate technique that literally ensures you get hired. It’s super simple to remember. Even easier to execute. But, rarely do job seeker’s ever try this because, honestly, most people wouldn’t think to do it. Most job candidates are too concerned with sharing their credentials. They’re concerned with showing off their past. They want the employer to believe they can do the job well—because of their experience. If this is you, you are completely missing the point of the job interview. 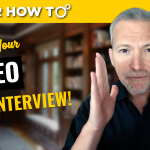 The best part about this video is I’ll show you how to tap into the most powerful motivator any interviewer has about wanting to hire you. You will own it. They will love you. And, you’ll show the job interviewers a brighter future when they hire you. MORE RELATED VIDEOS I MENTIONED! SUBSCRIBE FOR MY LIVE OFFICE HOURS! Join me on Thursdays each week at NOON ET for my LIVE OFFICE HOURS on my YOUTUBE CHANNEL. Make sure to SUBSCRIBE to my Youtube Channel so you can get the Live Office Hours alerts. GET INTERVIEW INTERVENTION HARDCOVER FREE! Want a hardcover edition of THE best job interview book on the market for FREE? How about the eBook and Audiobook too? While supplies last, the $29 book is FREE. I bought it for you. I’m also adding in the $27 digital experience. I only ask that you pay $7 so my friends at the warehouse can pick it, pack it, and ship it. I’ll send it anywhere in the world for $7! I also toss in a super cool workbook with all the session notes, job search workplans based on your demographic, and more! I have seen your video. I really appreciate because it is very useful for me. My problem is resolved.